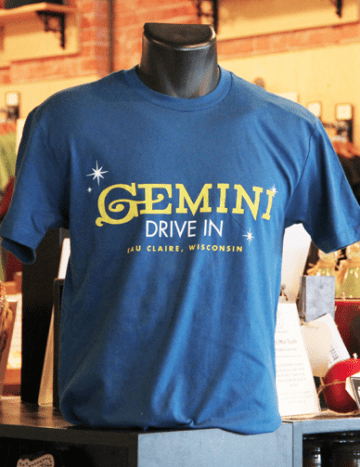 Introducing the Gemini Drive In Local Legends Tee! Well, the latest results are in and you picked our new winner: The Gemini Drive In. After over 40 years as a beloved Chippewa Valley destination, the Gemini Drive In Theater closed its doors in 2015. But now it can live forever on your torso. But how can you get one? 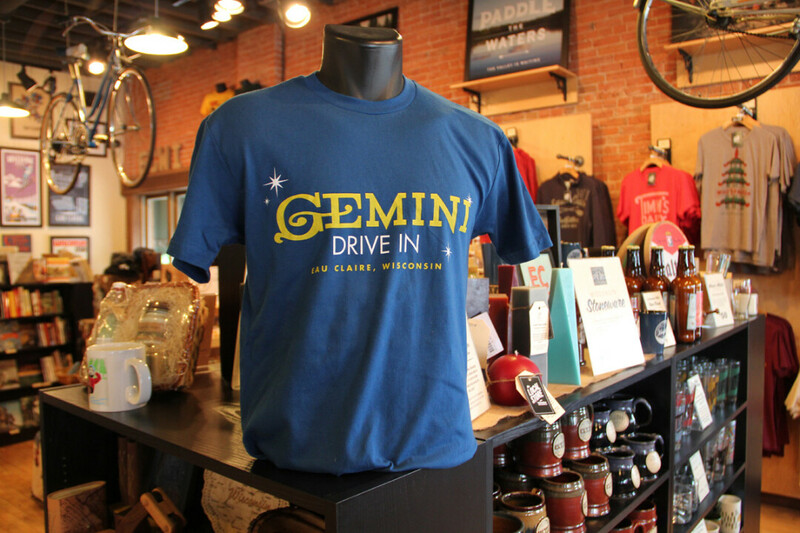 Our new Gemini Drive In tee is available in the shop (205 N. Dewey Street, downtown Eau Claire) and online right here!